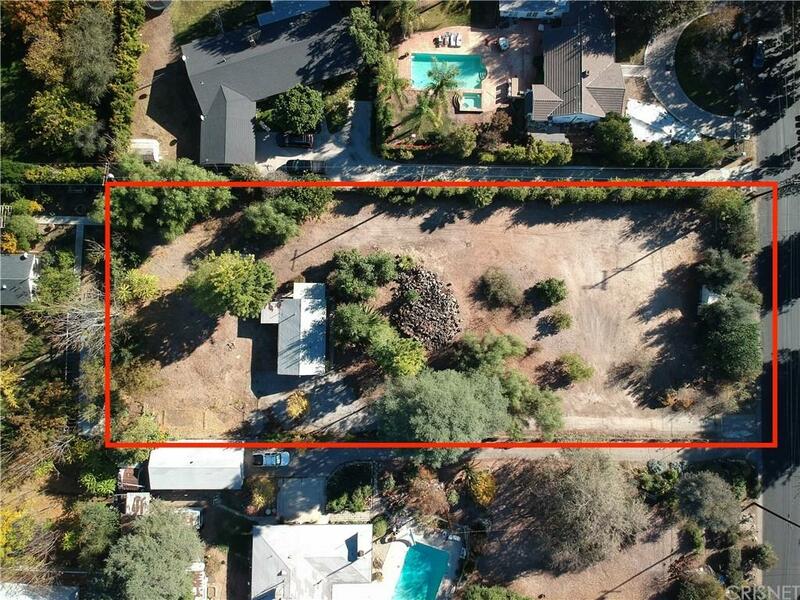 VERY RARE Incredible opportunity to build your own dream home on the best street in the best location in highly desirable neighborhood of Walnut Acres. FULL "Walnut Acre" 36,000sf completely flat and usable lot. 120' wide by 300' deep. Sale consists of TWO APNs: 2041-008-029 (27k sf - 90'x300') and 2041-008-030 (9k sf - 30'x300'). Existing small structure on property has water & electricity but probably not habitable in current condition. Land value only. Gorgeous trees on property already & fully fenced. Currently on septic - would have to connect to sewer in street. Walnut Acres is adjacent to Warner Center & the brand new Village with the finest dining & shopping, just minutes to the beach & PCH, easy freeway access; zoned for highly desirable award-winning charter schools & ranked among the highest in the state!